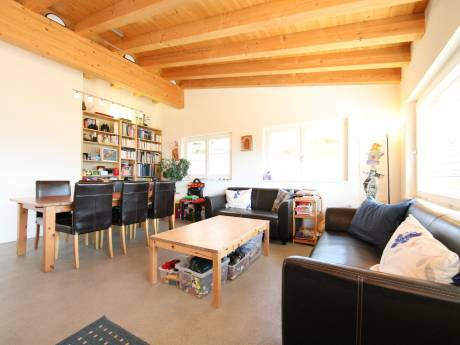 Spacious home near the lake of zug, walking distance 10 minutes. Ski area aprox. 30 min. higher regions like Davos etc. 2,5 hours driving. Cul de Sac street very quiet area. Behind the house farmland. During summer cowbells. We are a retired couple in the mid sixty's, one of our son lifes in Coomera gold coast. 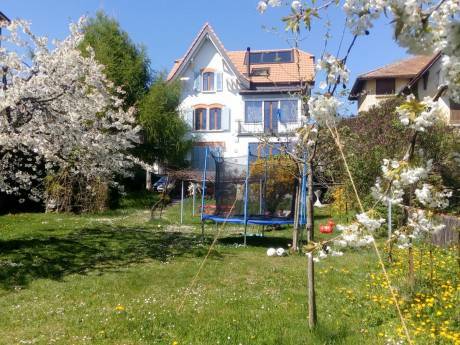 We travel every year to visit him and his family, so we would like to stay close to his place. We prefer the month of February and March. We own also a big place on the Canary Islands, Lanzarote, where the temperature is very mild and mostly sunny, similar to Gold Coast climate. so we can do an non-simultaneous exchange any time. Our names Emil and Marianne. butcher, spar. Zug city 15 minutes from our place. Zurich and Lucerne 35 min. by car.